If you’re looking for a new Kia Cadenza, Kia Forte, Kia Optima, Kia Optima Hybrid, Kia Rio, Kia Sedona, Kia Sorento, Kia Soul, or Kia Sportage, you can count on our Kia dealership to have the trim level and colors you want. Even if you’re not sure which Kia is best for you, our knowledgeable Seattle area sales staff will answer all your questions and help you find the right car, truck, or SUV for your style, needs and budget. Used car shoppers have come to rely on our Washington used Kia inventory when they’re looking for a high-quality used car. We have a great selection of used Kia vehicles like the Soul, as well as certified pre-owned Kia vehicles and Used Kia Optima sedans. So, you’ve found the vehicle you most desire. You want to go home in it. We want you to go home in it. But, all the details must be sorted out when it comes to financing. That’s where our car loan and Kia financing specialists step in. We’re here to help you by going over every option clearly, and will work hard to find the right plan for you. 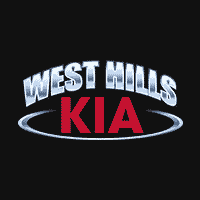 We want to make your dreams of ownership happen, and this is all part of the West Hills Kia experience we strive for. When you need your vehicle serviced, we’re here for you. Our state-of-the-art Washington Kia service center serving Bainbridge Island, Silverdale, Port Orchard, Gig Harbor, Poulsbo has the tools and equipment to perform all the Kia service, maintenance or repairs you need, from oil changes and tire rotations to engine tune-ups and alignments. Keeping your Kia maintained is a great way to ensure years of trouble-free motoring, so let our trained Kia service professionals keep your vehicle running smoothly. And for those drivers who prefer to work on their own cars, our Kitsap Peninsula parts department has all the OEM Kia parts and accessories you need to get the job done right. West Hills Kia is a great place to fulfill all your Kia needs, but you don’t have to take our word for it. Stop by our Washington Kia dealership located at 515 West Hills Blvd, Bremerton, WA 98312 off route 3. You can also call us at (360) 616-3273. You’ll be glad you did. If you don’t see a particular vehicle, click on Vehicle Finder and complete the form. We will gladly inform you when a matching car arrives. If you’d like to see a vehicle in person, get step-by-step driving instructions to our site, or give us a call. We look forward to serving you!